The two beer industry groups struck a deal this week that could end a years-long political fight. Beer brewers and distributors and have been battling for years over what can be bought and sold at breweries across Texas. This week, two key groups in the fight finally signed a truce. The Texas Craft Brewers Guild, which represents the interests of local breweries, and the Beer Alliance of Texas, which represents the interests of beer distributors, have inked an agreement proposing that Texans be allowed to buy up to two cases of beer per person, per day in places where beer is brewed. 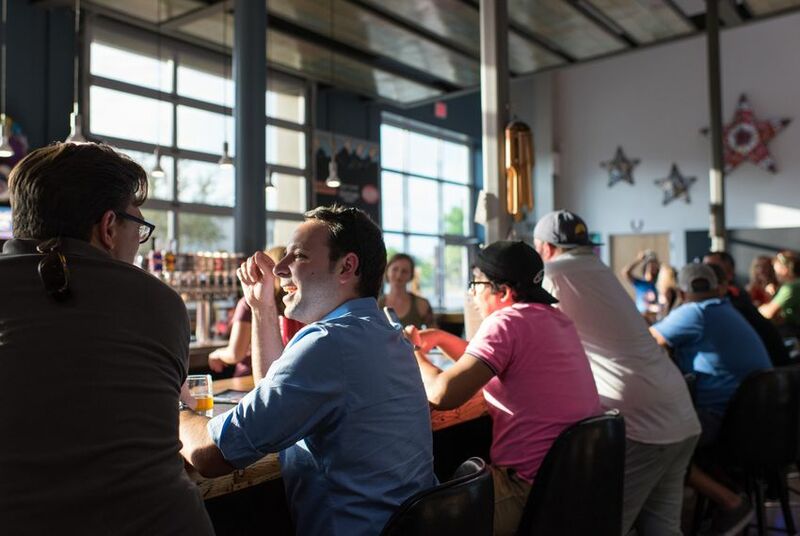 Texas is the only state in the country where customers cannot purchase beer from local breweries to consume at home, according to the Texas Craft Brewers Guild. Historically, distributors have opposed beer-to-go laws, arguing that it would hurt the three-tier system that strictly separates beer distributors, retailers and manufacturers. Critics of that system, including breweries, have argued that current state law is unreasonable and remains in place to protect the interests of wealthy distributors that donate plentifully to political campaigns. Regulatory reforms passed in 2013 allow breweries that produce fewer than 225,000 barrels, or about 3 million cases, of beer each year to sell up to 5,000 barrels for on-site consumption. Proposed bills filed by Rep. Eddie Rodriguez, D-Austin, and Sen. Dawn Buckingham, R-Lakeway, would expand the law to allow the beer to be taken to-go from local taprooms. The agreement between the two sides came in the form of a proposed new version of the Rodriguez and Buckingham bills. The added provisions include keeping the 5,000 barrel cap, limiting the amount that can be taken home and for packaged beer to have alcohol content posted clearly on its labels. The compromise would also require breweries to report beer-to-go sales to the Texas Alcoholic Beverage Commission on a monthly basis. And the groups agreed to refrain from lobbying to change the fluid-ounce caps of malt beverages for 12 years. The legislation will still need to make its way through the House and Senate and then be signed by Gov. Greg Abbott. But the truce makes that appear far more likely. The Wholesale Beer Distributors of Texas, another large lobby group in Texas representing the interests of beer distributors, did not sign the committee substitute agreement. "In 2013 the WBDT signed an agreement with the craft brew guild regarding proposed exceptions for small brewers,” Executive Director Tom Spilman said in a statement. “The WBDT continues to adhere to that agreement, which did not include authorization for brewers to vertically integrate a beer to go component which would unfairly compete with our retail customers." But Rick Donley, president of the Beer Alliance of Texas, said if the committee substitute version of the bill passed, it would create much-needed stability within the beer industry. In Texas, wineries and distilleries are already allowed to make to-go sales. But retail beer is only allowed for craft breweries that have brewpub licenses. To get the license, a craft brewery must produce less than 10,000 barrels of beer each year. Charles Vallhonrat, executive director of the Texas Craft Brewers Guild, said the law is a barrier for craft breweries across the state. The number of craft breweries across the state has more than tripled since 2011, according to the national Brewers Association. But Texas still ranks 46th in the nation for the number of breweries per capita, according the association. Vallhonrat said if the committee substitute version of the bill passed, it would would make the state more attractive to craft breweries. Disclosure: The Beer Alliance of Texas and the Wholesale Beer Distributors of Texas have been financial supporters of The Texas Tribune, a nonprofit, nonpartisan news organization that is funded in part by donations from members, foundations and corporate sponsors. Financial supporters play no role in the Tribune's journalism. Find a complete list of them here.